Convolving white noise with audio produces reverb but frankly, the results aren’t all that inspiring compared to the impulses obtained from “sampling” real rooms. However, there are ways to make white noise impulses that provide a unique, “idealized” sound compared to standard impulses. You need a noise source, so insert Mai Tai and create a noise-only preset. Sculpt the noise to emulate a “room.” Suppose you want a 2.0 second reverb from a highly damped room. Use the amplitude envelope to provide a 2 second fadeout, and the filter envelope to damp the sound. I also add a little delay to make the noise a wider image. Transform the instrument sound to an audio track. Normalize the audio, then bring the peak level down by about 7 or 8 dB. Open Air seems happiest with impulses that don’t use up all the available headroom. Now bring the WAV file you just saved into Open Air, and check out the clarity and smoothness of the sustain—it has an “idealized” quality, sort of like how CGI is an idealized version of an image. Listen to the audio example processing some percussive sounds from Impulse, and you’ll hear what I mean. When you shorten the reverb in Open Air, it sounds more gated. Once you find an impulse you like, generate versions at different lengths, and then you can choose the length that’s appropriate for the music. Create short reverb impulses and reverse them—you’ll hear the best reverse reverb sounds ever. Make a bright, sparkly vocal reverb by filtering out the lows, or to create the Taiko Drum of Doom, create a long impulse but filter out all the highs. Try different effects, like “chopping” the noise for rhythmic effects. 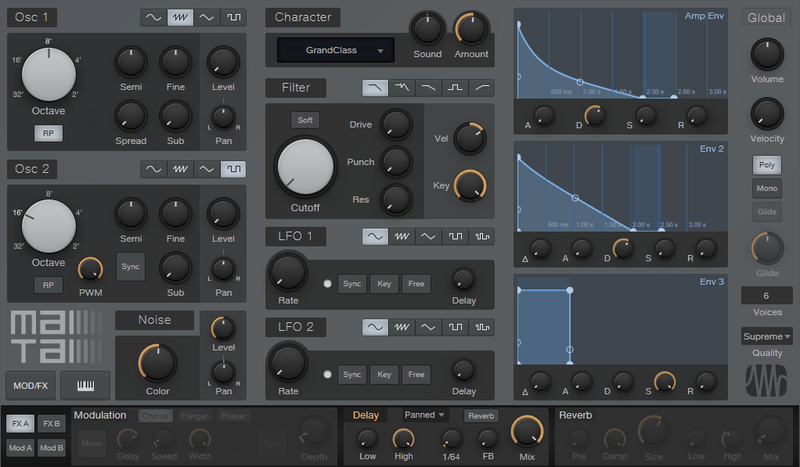 The bottom line is this is an incredibly flexible way to come up with reverb sounds…and you can end up with different reverb sounds than any other reverb processor on your hard drive. Have fun! Glad you like it! My favorite aspect of this type of reverb is you don’t have any “flutter” or repetition. Such a beautiful effect !